Simon is an Associate within our Family Team. He focuses solely on family matters, able to provide expert and cost efficient advice on a wide range of issues. Legal rights for cohabitees who separate? Simon joined Leathes Prior as a trainee Solicitor in 2009 having graduated from the University of Sheffield with a 2:1 honours degree in Law. He qualified as a solicitor in the Family Team in 2011 and was promoted to Associate Solicitor in 2015. Simon advises clients on a wide range of family issues including divorce/civil partnership, financial issues on divorce, Prenuptial Agreements, child arrangements (including contact and residence, formerly ‘custody’) and disputes between unmarried couples. In his time at Leathes Prior, Simon has built up experience in dealing with cases involving significant assets and more complex arrangements such as family businesses and cases involving significant pension provision. He is a member of Resolution (formerly the Solicitors Family Law Association) – a national group of family lawyers whose aim is to resolve disputes in a conciliatory fashion. Simon is married and has two children. In his spare time he enjoys watching, and taking part in, all sorts of sports and playing the piano. I cannot thank you enough for fighting my corner through the most difficult stage of my life to date. Your friendliness and professionalism are second to none and I cannot recommend you or Leathes Prior enough. My heartfelt thanks go to you for guiding and advising me through the last two and a half years and for achieving a fair financial settlement for me. No mean feat given the complexity of the latter. Please can I thank you for the work you completed on the divorce, it was done with care, compassion and skill. Thank you Simon. You have my total respect, I thank you for everything you have done for me. A real person that really cares about clients. 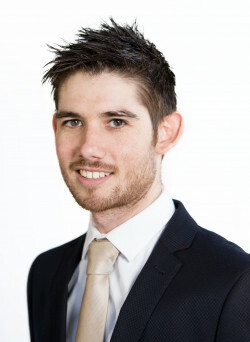 Rising star Simon Willis excels in divorce, financial remedy and private Children Act matters. Rising star, an old head on young shoulders. Associate Simon Willis is superb – he is always clear, on time and makes clients feel valued.